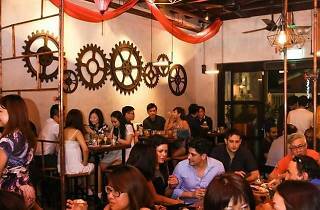 Fu Lin Bar and Kitchen looks every bit a member of the industrial-cool posse of café and bars that have mushroomed across our dining scene in recent years. What earned a reputation as a yong tau foo shop has undergone an Instagram-this revamp. By day, tofu permutations stack atop trays on wooden bar counters. But after dark, strategically placed spotlights and brooding tech-house tunes lure the office-worker crowd back to iron out the day's stress with cocktails, sake and a menu of Spain-meets-Asia tapas. Head chef Warren Poh's application of Asian flavours with his Spanish training are, on the whole, pretty successful. 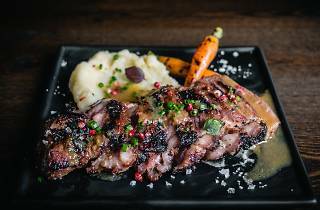 INKA-smoked squid ($16) yields tender rings of meat accented with fried garlic breadcrumbs, while supple bacon-wrapped beef and chestnuts with smoked cream ($13) are generously portioned for sharing. 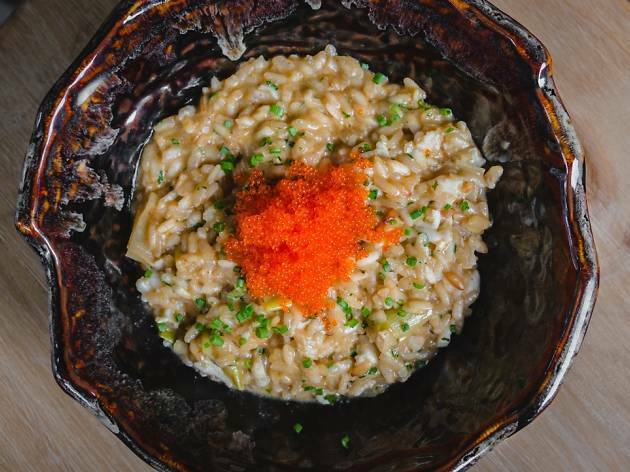 The gluey paste of salted egg and crab risotto with bursts of tobiko ($25) sounds promising on paper, but arrives one-dimensional and with tongue-curing levels of salt. There’s still the joint’s famed, gravy-rich yong tau foo served at night, albeit pre-assembled with tofu and fishcake-stuffed veggies ($8/seven items). Outside of its two pages of imported rice wine, the drinks selection is functional. If an Old Fashioned is a measure of a bar's worth, stick to your beers ($8-$12) and Japanese sake ($26-$98). Our meagre two-sips ($19 with Balvenie Doublewood 21 Years, $20/Ron Zacapa 23 Years) were more watery than elegant, and markedly bitter. 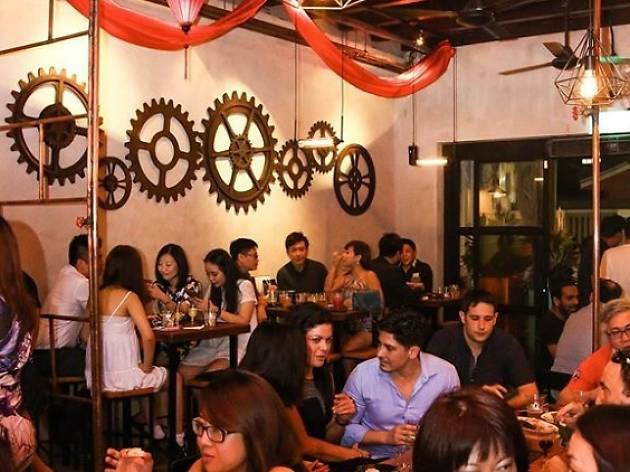 Fu Lin, with its 'social bar' aspirations, works better as a small plates restaurant with drinks than as a bar that just happens to sell snacks they fancily call 'tapas'. That Asian-meets-INKA angle is promising, its drinks for now less so.